Now we are officially in spring it’s not just our wardrobes that need a spring clean. A new season means a new skin-care routine. Despite what the weather looks like as I type this, temperatures are set to rise over the upcoming months, so now is the perfect time to start prepping your skin for the season ahead. With that in mind, I have put this quick guide together to show you how you can also get the best results out of your skin this spring..
During winter our skin is exposed to extreme conditions. A season of cold weather, rain and wind can leave our skin dull, dry and with a build up of dead skin cells. Exfoliating a couple of times a week will help get rid of that dead winter skin leaving your skin feeling bright and fresh. I’m currently using the Tom Ford Exfoliating Energy Scrub which is not only good at removing all those impurities, but it also smells really good and leaves your skin feeling full of life and refreshed. To return some of the moisture lost during winter, use a face mask a couple of times a week. This will leave your skin feeling hydrated and smooth. There are so many masks available at the moment so with a bit of trial and error I’m sure you can find the one which is most suitable for your skin. I’m currently using the limited edition GLAMGLOW ‘Sonic Blue’ Gravitymud. To finish off your skin care routine try switching out your heavy moisturiser for a lighter oil-free moisturiser. The Lab Series Matte Renewal Lotion was my favourite discovery of 2016. Not only is it lightweight and hydrating, but it leaves your skin feeling completely matte and dry to the touch. I can’t recommend it enough! The brighter days can play havoc with our eyes. Now is the perfect time to be investing in a good pair of sunglasses and an eye cream to protect our eyes from UV rays. It will also help keeping those wrinkles which are caused by squinting at bay. As I get older I’m much more interested in anti-aging products so something like Kiehl’s Age Defender Eye Repair is my eye cream of choice. The Eye Repair is designed to visibly reduce crows feet and firm skin around the eyes. It also helps to reduce the appearance of dark circles for a smoother, more youthful appearance. Now that I am approaching 30, ithere has never been a more perfect time to start using more anti-aging products to help slow down the effects of getting older. Applying sunscreen is another quick win to avoid skin damage caused by the sun. As mentioned above, the sun can damage our skin. When the weather is still mild you may not be able to feel how strong the sun actually is but after months spent under layers of clothing, spring is a high risk time for sun damage. Applying sunscreen is a must. As the name suggests the higher the number or factor is, the better the sun protection is. I’ve been using the Aesop Protective Body Lotion SPF50 for some time now, in fact instead of me going into the details, you can read my full review here. Finally, spring is the perfect time to switch out your fragrances. I always find I wear more spicy fragrances during the colder months and am drawn to more fresh scents in the spring and summer. I’m currently using the Jo Malone Pomegranate Noir Cologne which combines both of these qualities I love – mixing peppery notes with fruity scents – so it’s a complete win-win for me! Have you had a Spring Clean of your routine? Now that Halloween is just around the corner, I’ve finally had to accept that Summer is well and truly over and that Autumn is here. With Thailand only a distant memory, I have ultimately packed my shorts away for another year and dug out some of my trusty Autumnal favourites. For me Autumn is about being comfortable. It’s not quite cold enough to be wearing multiple layers just yet, but it’s also not warm enough to just be sporting a t-shirt. Autumn is all about sweaters, chunky knits and if your an Instagram pro, the pumpkin-spiced latte. Acne Studios College Face Sweater (similar) This Acne Studios sweater has been a staple in my wardrobe for a year and a half now. It was the first item of Acne clothing I purchased and still remains my favourite. I haven’t worn it for a good 5 months now so now is the perfect time to get it back in my rotation. Dior Sauvage Eau de Toilette 100ml I picked up the latest fragrance from Dior in duty free on the way home from my last trip. I had wanted it for a while but never got around to buying it. I hate buying fragrances as I change my mind so often; but after testing this again at the airport I knew it was the one for me. 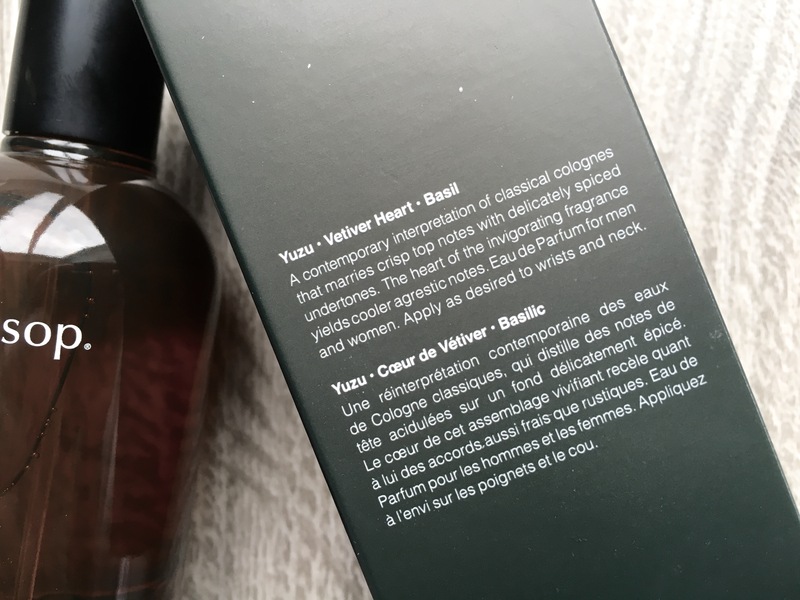 I wanted something that combined the fresh, sweet scent of Gypsy Water with the woody fragrance of Aesop’s Tacit and this one does it perfectly. Topman Scarf Although it’s not entirely scarf weather just yet. When I set off early for work during the week a scarf is a must! 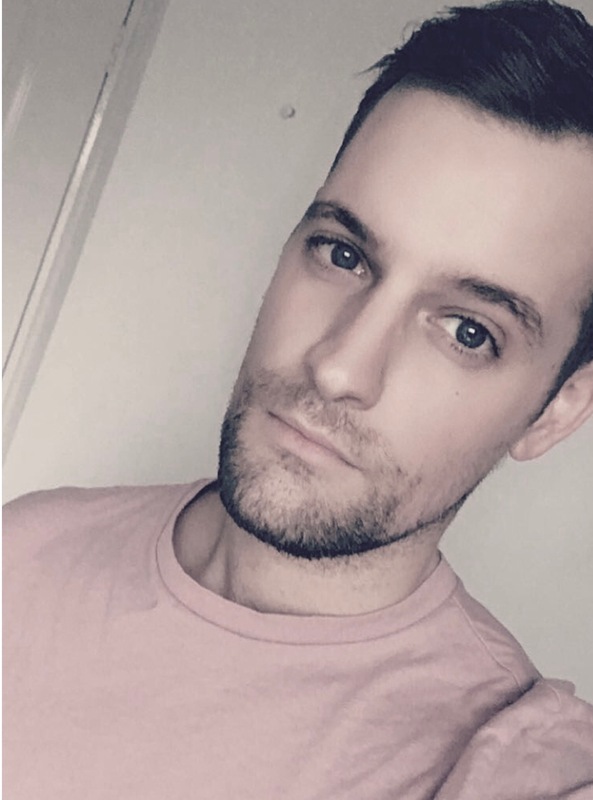 I picked this chunky knit scarf up from Topman last year just before I went to Iceland so it’s not a recent purchase but I still love how warm and comfortable it is. Aésop Resurrection Aromatique Hand Balm 75ml This hand cream has become a firm favourite over the past couple of years. During the colder months it can be a life saver if you have naturally dry skin. Through work my hands used to get so dry to the point they would crack and bleed so any products that keep my skin hydrated is a win in my books. This hand balm from Aésop not only does just that, but it also is non greasy, fast absorbing and smells great. Form & Thread Socks Since I last featured Form & Thread on here, the brand have ventured out into a line of essential t-shirts, sweatshirts and shirts to add to their ever-growing sock selection. These Triple Twisted Yarn socks are the ideal partner to this seasons rising trouser hems. A contemporary interpretation of classical colognes. Tacit is the latest fragrance from Australian brand Aēsop. Ten years since Marrekech was first released, Tacit is only the second fragrance from the brand. Taking it’s name from the type of knowledge that is not easily described or transferred to another person, Tacit is a discreet, fresh yet earthy fragrance suitable for both men and women. Inspired by the fresh scent of traditional cologne, and the perfumed vegetation of the Mediterranean coast, Tacit is immediately recognisable due to it’s attention and care to it’s ingredients. While many fragrances reference the Mediterranean as a source of inspiration, Tacit swaps the traditional citrus tones of orange and lemon, for the more exotic tones of Zuzu, an exotic Japanese fruit. This is quickly followed by the aromatic tones of Basil Grand Vert which make up the distinct earthy body of the fragrance and is completed with the spicy undertones of Clove. Bottled in the classic amber glass we have come to associate Aēsop with, the Eau de Parfum comes packaged in a thick cardboard outer featuring artwork designed by Australian artist Jonathan McCabe who created more than 60 unique patterns for the fragrance. 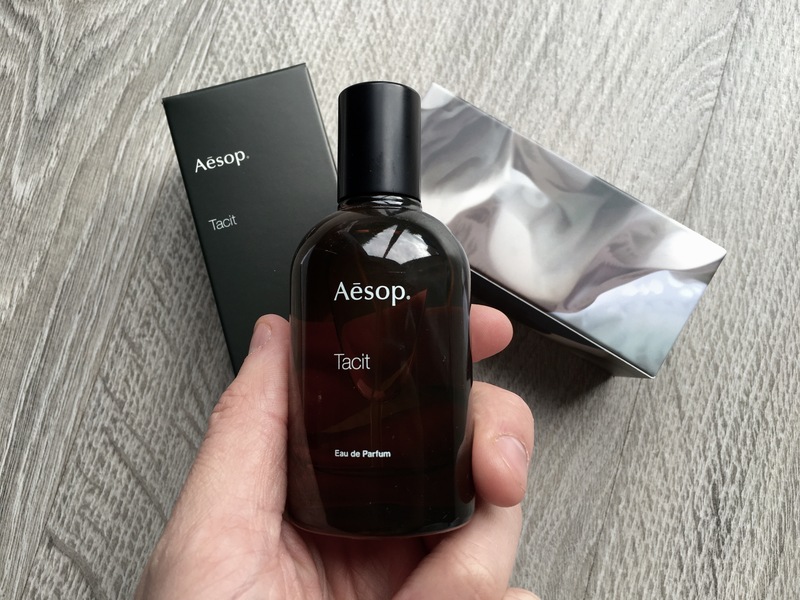 While Aēsop are not necessarily well known for their fragrance, Tacit is one not to be missed for the Autumn months. Tacit by Aēsop is available now at Mankind where you can earn ‘Man Points’ to spend against future purchases. Don’t forget to use my Referral Code: MK22832326.